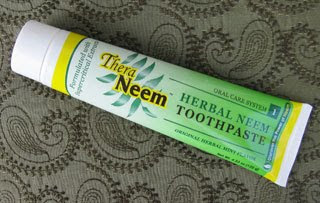 Another neem toothpaste came to me (literally). 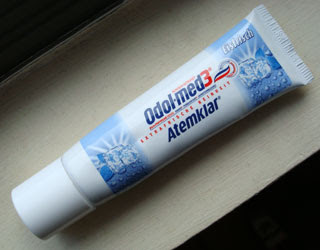 Autumn, the CEO of Organix South, sent me a tube of their TheraNeem herbal mint flavor. It is excellent! The country of origin is India. Natural ingredients include grapeseed, licorice, fennel, clove, peppermint, spearmint - and of course neem. I love the exceptionally interesting mix of flavors - very hard to describe. This has quickly become my current favorite paste. It's the color of coffee with milk and has more texture than most pastes. 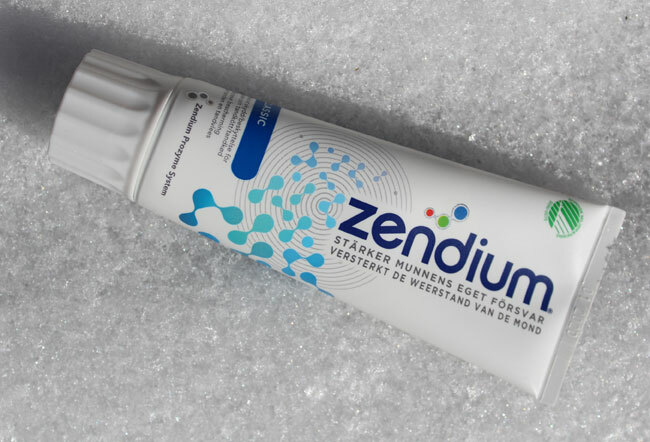 Users are supposed to make the toothpaste part of a three-step oral health regimem - the other steps being TheraNeem mouthwash and "Supercritical Extract" - an elixir the user consumes. My neem package included the mouthwash but not the extract. The mouthwash has an amazingly complex flavor - nearly impossible to describe. I can't vouch for all the health benefits of neem - "purifying and antioxidant", but I do like the taste of Theraneem and how it makes my mouth feel clean. Beyond the scope of The Museum are the neem soaps Autumn sent - six "flavors". They are all natural, as you might guess. All are various shades of beige (no dye!) and have intriguing aromas. Give TheraNeem a try! 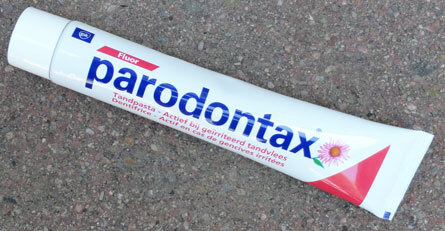 It definitely has The International Toothpaste Museum Seal of Approval. Your Seal of Approval sounds quite authoritative, and I like it!